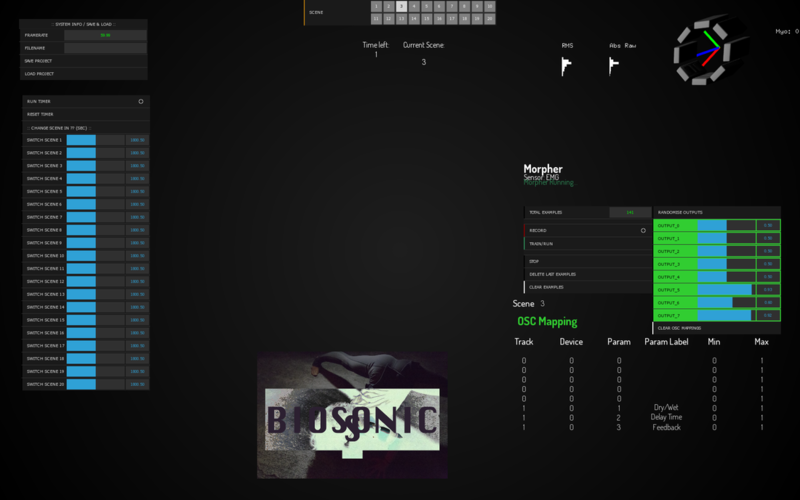 ​'BioSonics' is a biosignal-algorithmic sonic work performed by Monica Tolia, developed in collaboration with programmer Terry Clark. The work uses machine learning to manipulate sonic effects and frequencies through the algorithm's reading of the performers’ data. The performer wears sensor bands that communicate her EMG data in realtime to the algorithm, constructing the uncanny machinic soundscape. Here the sound operates as a prosthetic to the performer’s interiority, a techno-produced body. She embodies the feminine, feral, cyberpunk, abject, mad, Other… identifying with and finding agency in the entropy of the machine. performance at The Space, Nottingham Contemporary. 8 February 2019.